Doodlecraft: Fancy Lace Peter Pan Collars! 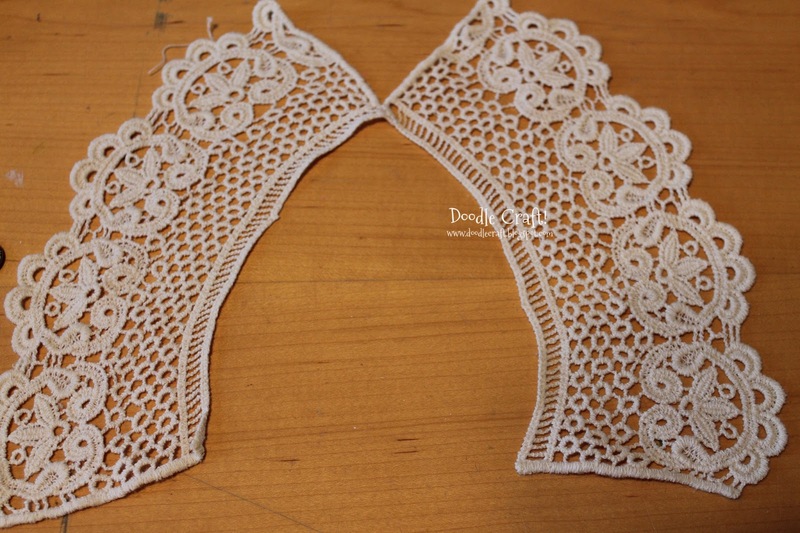 Fancy Lace Peter Pan Collars! 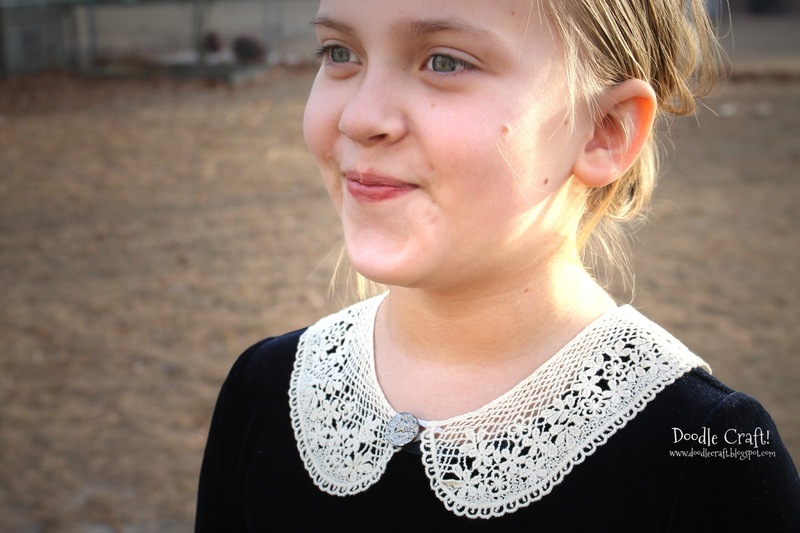 I remember having huge lace collars when I was a kid...and I hated them. 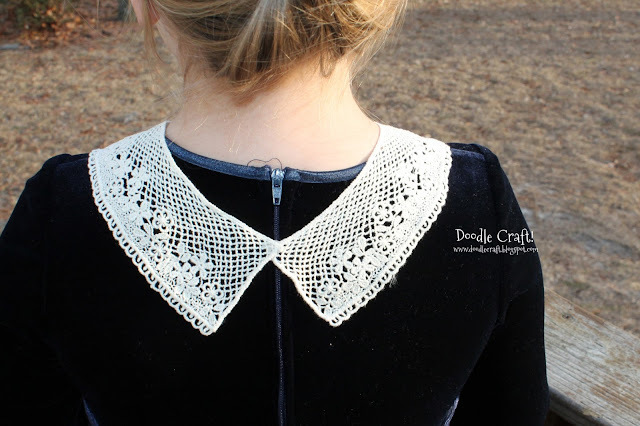 But I love the idea of a REMOVABLE collar! 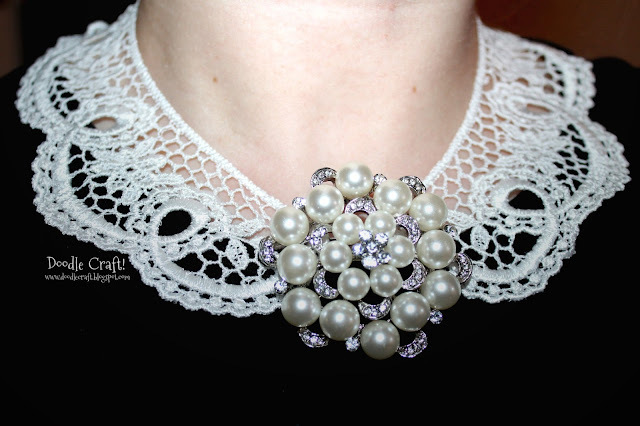 So versatile, like a necklace! These are beautiful and sooooo simple! They take a simple dress or shirt and make it so classy and fun! 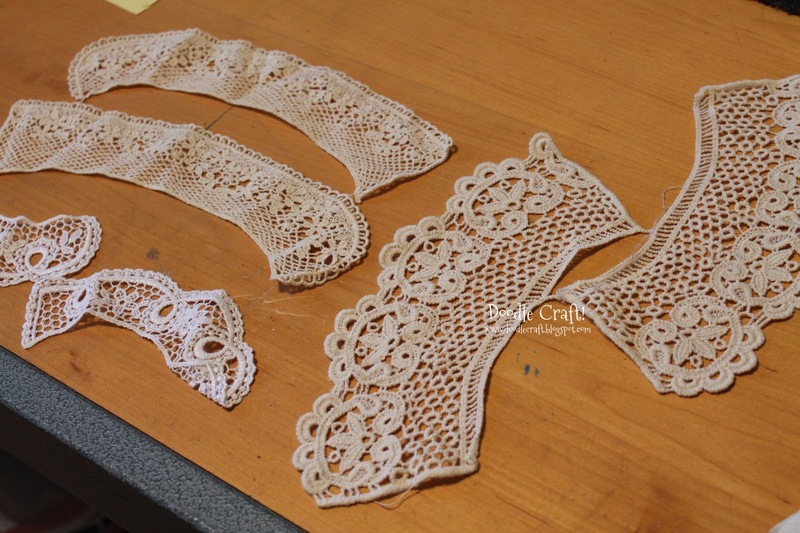 I was sent these gorgeous crocheted lace collar pieces by Wholeport Crafts! They are under the "lace appliques" tab...and they are cheap...like $3 each! my time when these ones are so pretty! I hot glued one side together right on the tip. With the other side, I hot glued a little loop of elastic and a button on the other side. It took a mere 5 minutes...hence the few pictures! The loop fits around the button perfectly and holds it in place. Then you just decide if you want the button on the front or the back! with a cardigan or a scoop neck shirt! This one was the smallest...and still just $2.50! tied them around the neck. 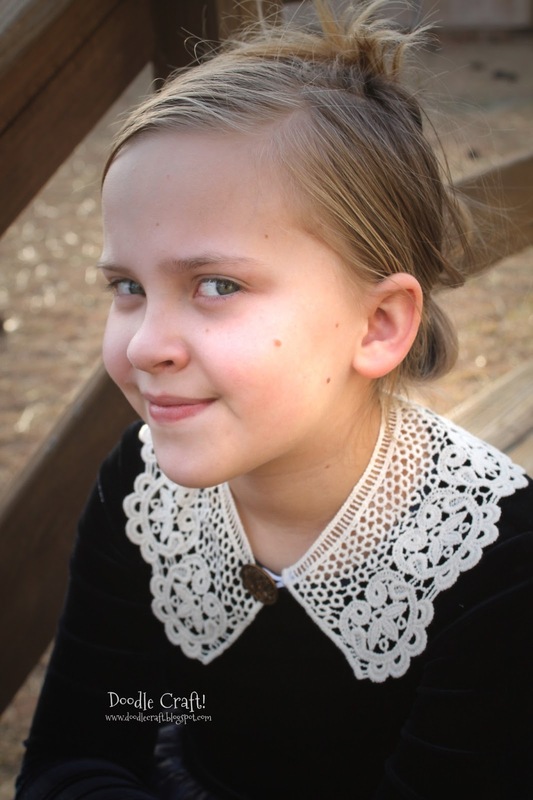 I secured the front with a big brooch! What? !I want these! Why am I trying to make one?! Haha, so cute!